Living in the age of technology, we are setting our goals and standards high when it comes to keeping up with the latest technology both as a teaching tool for our educators and as part of our overall academic programs. Beginning in kindergarten, all our students have weekly computer lab instruction and time. 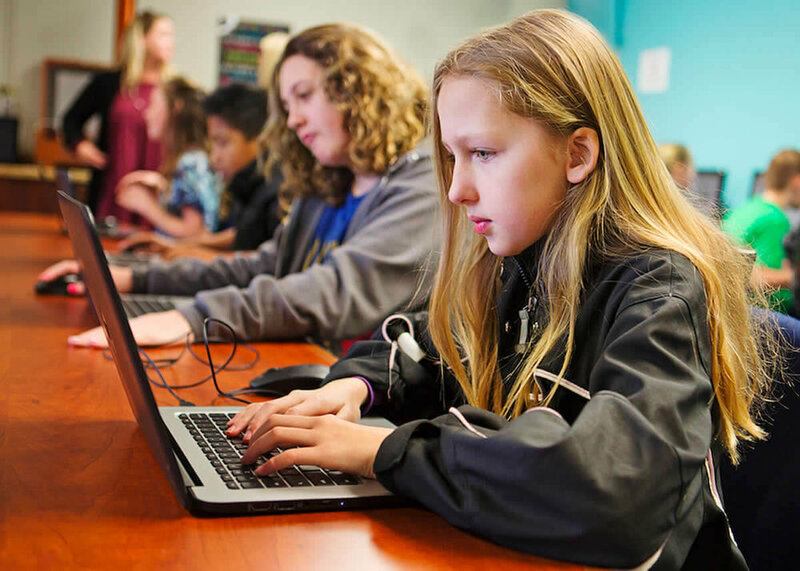 Primary students are learning multiple facets of technology from basic computer operations to fundamental typing skills, digital citizenship from Common Sense Media, coding with Code.org, and the implementation of G Suite products from Google. We believe that technology plays an important and exciting role in the education process. Our teachers are regularly educated on the most up-to-date technology resources to enable in-class interactive instruction, student collaboration, hands-on learning, and the ability to go global. Our goal is to cultivate students who can make a lasting, positive impact on the world we live in, both with technological innovation and as a gateway for individual impact in the world for the Kingdom of Jesus Christ.